Ottawa's greenhouse gas emissions decreased by 11 per cent between 2012 and 2016, but it appears the drop was mostly due to the closure of the province's coal-fired power plants. Every four years, the city calculates emissions generated both by the wider community and by its own operations as it aims to hit its targets to combat climate change. The latest report is to be tabled Thursday. Ottawa's environment committee changed its name. What else did it accomplish this term? The greatest emissions come from buildings and transportation, so the closures of the Lambton and Nanticoke coal plants in 2013 mean buildings in this city now get their electricity only from nuclear, hydro or other cleaner sources. "We would like to thank Dalton McGuinty for his leadership on lowering Ottawa's greenhouse gas emissions," said Robb Barnes of Ecology Ottawa, referring to the former Ontario premier. "It's not exactly the product of municipal policy so much as years-old provincial policy." 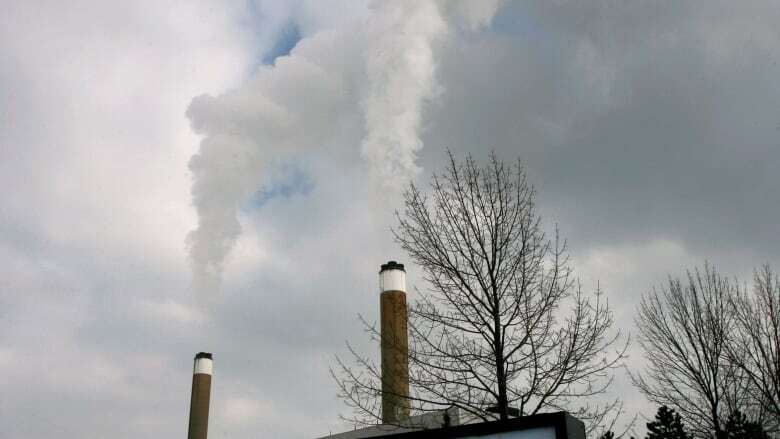 The closure of the coal plants also had an effect on greenhouse gas emissions from city operations, which represent four per cent of Ottawa's general output. Emissions from city buildings, vehicles, landfill operations and sewage treatment plants fell by 25 per cent between 2012 and 2016. The biggest single drop from what the city controls resulted from efforts at the Trail Road landfill to capture more methane and other gases. It also added a sixth generator to convert gases to energy, and upgraded its flaring system. Barnes said he's concerned about the next four-year report, which can't rely on the disappearance of coal-fired plants. "This is kind of a one-time gift. You can't phase out coal every time there's an emissions report," he said. Barnes said the City of Ottawa needs more aggressive policies to encourage retrofits of buildings to make them more energy efficient. CBC Ottawa explains: How would Watson and Doucet tackle climate change? The outgoing chair of Ottawa's environment and climate protection committee, Coun. David Chernushenko, agrees with Barnes's assessment. Chernushenko, one of council's most vocal environmentalists, lost his seat in the Oct. 22 election. "Don't take your eye off this ball. Give it more and more attention. It is absolutely critical," he said Monday. "The cities that don't wait to the last minute are going to be doing it in a more planned and intelligent way instead of being forced to do it." The City of Ottawa could soon start reporting its emissions on a yearly basis, something it has already pledged to do. The new city council will review the reporting schedule next spring.